Annmarie Skin Care > Ingredient Watch List > Are You Polluting Our Waterways with Plastic Microbeads? Have you used those body washes that have little exfoliating beads in them? Did you ever check to see what those beads are made of? If you did, were you able to figure it out from the label? Turns out that in many products, those little natural-looking beads are anything but natural—and thousands of them are now polluting our lakes and streams. Those little exfoliating microbeads in your body wash could be tiny pieces of plastic that will wash down the drain to pollute our waterways. According to recent news reports, tiny bits of plastic from body washes and other products are polluting the great lakes. In a new study by the 5 Gyres Institute, a Los-Angeles-based research group, scientists found more than 450,000 plastic particles per square kilometer in Lake Erie, double what similar surveys have found in oceans. In a similar survey last year, comparable levels of plastic microbeads were found in samples from Lake Superior and Lake Huron, as well. The problem is that these little balls of plastic are less than a millimeter across in size, so they’re too small be be caught by water treatment plants. Instead, they flow right through to pollute waterways. And it’s not only body washes and facial scrubs that have them. Since they make products smooth and creamy, they are also found in toothpastes, sunscreens, lip glosses, shampoos, deodorants, and soaps. Estimates are that one facial cleanser tube contains 350,000 beads. “We’re plasticizing our water,” said Sherri Mason, principal investigator for the study. Though these beads are polluting the environment, that’s not the only concern. Fish and other wildlife may also be consuming them by accident. Already in ocean environments, fish and birds are known to feed on microplastics, mistaking them for fish eggs. If the particles are soaking up toxins and chemicals from the water, and then being eaten—particularly by fish—they could end up moving up the food chain to humans. It’s clear that using these microbeads in our personal care products is not a good idea. So far, we have no way to protect our waterways from the plastic pollution. The only solution is to stop using these products, and/or to convince manufacturers to stop making them. There are, after all, a lot of natural options. Instead, look for products that use natural exfoliants, including coca beans, sea salts, sesame seeds, sugar, and the like. Crushed nuts work too, but they can be too abrasive for sensitive skin. Of course, Annmarie Gianni Skin Care never uses plastic microbeads. We enjoy using natural sea salts, fenugreek seeds, and clays to help exfoliate. Have you used any of these products with plastic microbeads? What do you think about the scientific findings? Sharon Hill, “Plastic pollution a problem in the Great Lakes,” Windsor Star, July 2, 2013, http://blogs.windsorstar.com/2013/07/02/plastic-pollution-a-problem-in-the-great-lakes/. Question….if we have any of these products….what should we do with them to dispose of them? Usually, we would rinse out the plastic bottles to recycle them. But, if we are trying to not have these micro beads go down the drain, that probably isn’t the best option. 2 acrylite copolymer is in my body wash – is that a microbead ingredient to avoid? Lastly, I have stopped buying p&g products. They willingly Will pollute our water supply for 3 more years. (Til end of 2017) How IRRESPONSIBLE! !! If your product has microbeads in it, it should say so on the label. 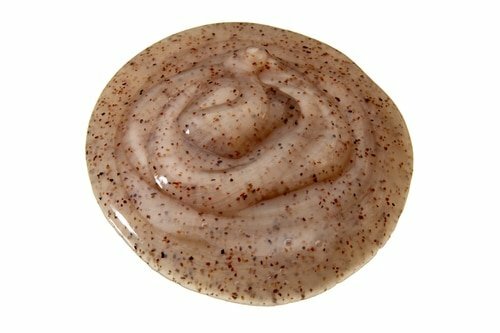 Most products actually advertise that they have microbeads because it was previously considered a good exfoliating ingredient. For 25 years I have used Body Shop shower gels and shaving cream and deodorant gel and been very happy with them. I have found them less aggressive smelling than cheaper products and have been attracted by the marketing emphasising quality, natural ingredients and no animal testing. I often live outside the UK and their branches are conveniently found in many countries. Today for the first time I bought maca root face scrub from the For Men range. It was an attempt to compensate the skin for being out in the sun. Just an hour later I read about the plastics from skin scrubs getting into the water and was disgusted, though felt smug as I had coughed up for a ‘natural’ product. When I read that Body Shop had agreed to stop using micro plastics by 2015 I was really shocked. From its marketing the company had no business using such ingredients at all. I usually check the ingredients list of things before I commit to them and the list on the tube of Face Scrub started reassuringly, in small type, but does include propylene glycol which I guess is some kind of plastic. I am very disappointed with Body Shop and shall consider changing brands for my regular purchasing. I appreciate they have now agreed to remove plastic from their products now that the problem has been exposed, but they should not have used them in the first place. Hi Harry! Our line does include two facial scrubs. 🙂 Both without microbeads, of course! The Dead Sea Scrub is great for a thorough scrub and can help prevent break outs, also! If your skin tends to dry out, follow with a moisturizer after you use it. Our other scrub, the Ayurverdic Facial Scrub, is more gentle. It is packaged dry and can either be mixed with water or your normal cleanser to exfoliate your skin with added benefits from the herbs and clay it’s made up of. I am absolutely horrified to learn that a company that I had so much respect for (the Body Shop) would even THINK about using plastics in such a way!